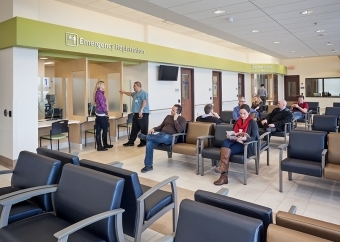 Our Emergency Departments and Urgent Care Centres typically see an increase in visits over the long weekends. We want to help you better understand your healthcare options in Niagara. Visit Hamilton Niagara Haldimand Brant LHIN community care website for non-emergency medical options. For medical emergencies: Call 9-1-1 immediately or go to the nearest Emergency Department. You can also view Niagara Health's Emergency Department and Urgent Care Centre wait times here.